Lifted Golf Carts Off-Road Golf Carts. Lifted the carts 5" with a rhox axle lift... front went on pretty easy. On the rear however ran into an issue. The riser block hits my brake lever. Seems as if most are lower mine seems to be on top and it locks the brake. I can mill out a solid aluminum block to replace this but was wondering if anyone else has ran into this issue and how you resolved it.. Location: Brooklyn, Michigan "Home of M.I.S." 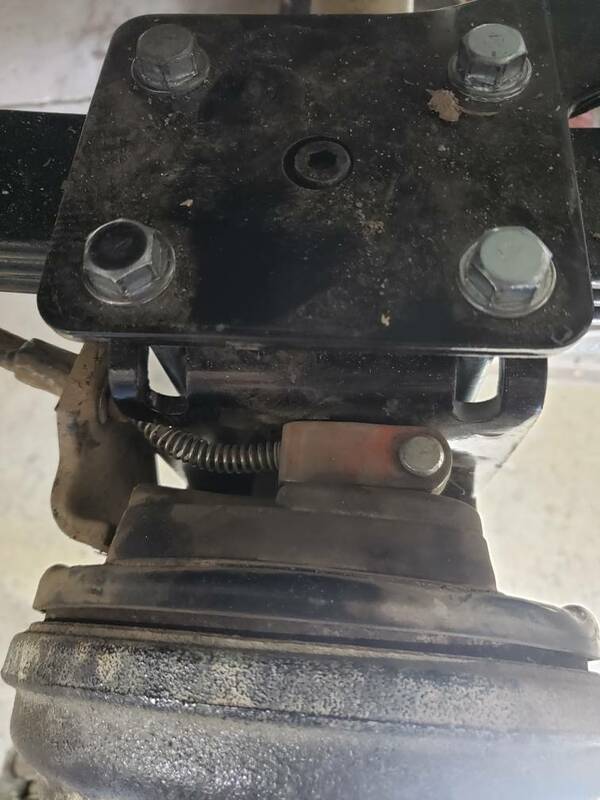 Looks like the bracket is slotted, could you move it over a little if you slot the holes for the spring alignment pins?.. just a thought. or send the pictures to rhox and ask their engineers what the heII going on. That, or did you see if you turn it 180 degrees if it works? Is it possible you ordered, or was given a wrong kit for your cart? Sent rhox an email and within minutes I got a reply saying it's odd but they've seen it before. They suggested I swap the brake hubs from one side to the other and flip them over. It worked perfectly and was pretty easy too. Most brake assemblies have the lever on the bottom but quite a few of the workhorse carts are up top. If you order a kit made for a wh the brackets are made for it. Otherwise just flip the brakes.